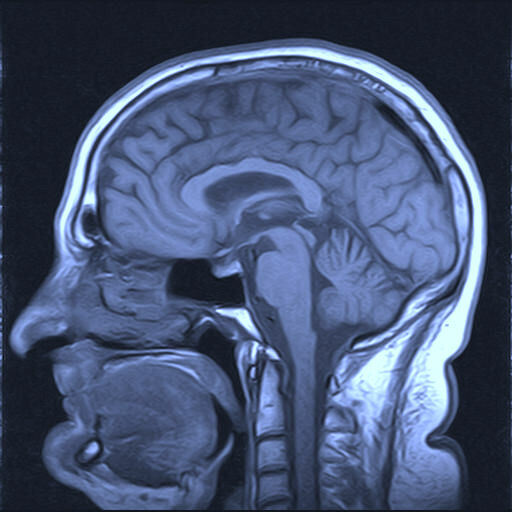 The travails of Mary, the brilliant vision scientist confined to work in a black and white lab, have been a staple in the philosophy of mind ever since they were first-described in a thought experiment by Frank Jackson. They’ll be featuring heavily in today’s post as well, which is part of my ongoing series on mind-body physicalism. 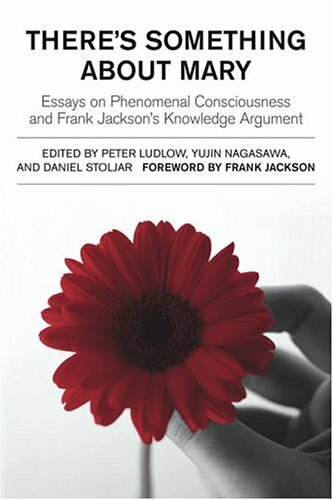 As noted in previous entries, the series follows the discussion in William Jaworski’s Philosophy of Mind: a Comprehensive Introduction . 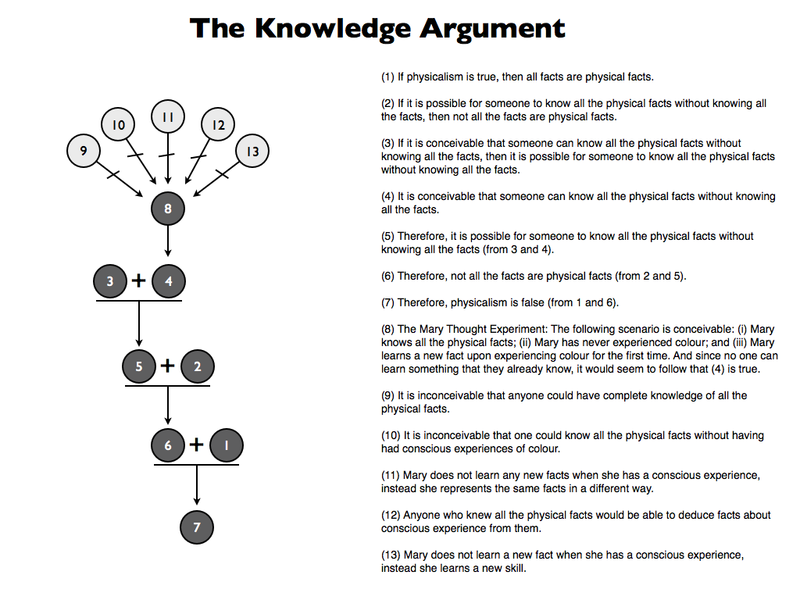 Jackson’s thought experiment is used to set-up something called the knowledge argument. The purpose of this argument is to illustrate the explanatory incompleteness of physicalism. If the argument is successful, there are grounds for dismissing physicalism; if it is not, then physicalism can live to fight another day. Thus, the defender of physicalism would be wise to address the argument. In this post, we'll discuss the thought experiment, the argument, and the various responses. And we'll do so in that order. Let’s get better acquainted with our fictional Mary first. She’s a brilliant vision scientist. If you have any questions about the nature of human vision, you should talk to her. She knows every physical thing there is to know about human vision: she knows about the anatomy of the brain; she knows about the electrical and chemical responses associated with vision; she knows about the electromagnetic properties of different objects; and she knows which electromagnetic properties are associated with which physiological responses in the brain. But here’s the thing. For some reason, Mary has spent her whole life in a black-and-white environment. The walls of her lab are painted black; all her lab equipment is white; her clothes are black; she wears black and white gloves; and her skin is painted white. As a result, she’s never actually had the experience of colours such as red or yellow. So although she could tell you all about the electromagnetic properties of red objects, and the brain states associated with the sight of red objects, she hasn’t seen any red objects for herself. Now suppose that one day she manages to break free from her black-and-white lab, and go on a trip to the local market. While there, one of the vendors tries to sell her a tomato. She looks at this strange object for the first time, contemplating what she sees. Question: does Mary acquire any new knowledge by looking at the red object? To most people, the answer to that question is “yes”. By seeing a red tomato for the first time, Mary learns that the colour red is associated with a unique qualitative experience, one that she has not had before. Thus, although she knows everything about the physical nature of vision, she knows something more now: she knows what it is like to experience the colour red. (1) If physicalism is true, then all facts are physical facts. (2) If it is possible for someone to know all the physical facts without knowing all the facts, then not all the facts are physical facts. (3) If it is conceivable that someone can know all the physical facts without knowing all the facts, then it is possible for someone to know all the physical facts without knowing all the facts. (4) It is conceivable that someone can know all the physical facts without knowing all the facts. 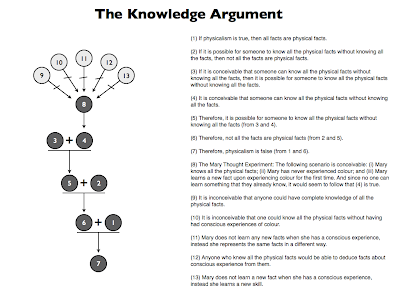 (5) Therefore, it is possible for someone to know all the physical facts without knowing all the facts (from 3 and 4). (6) Therefore, not all the facts are physical facts (from 2 and 5). (7) Therefore, physicalism is false (from 1 and 6). Let’s talk about the support for this argument first. Premise (1) seems to be an accurate statement of the physicalist thesis. Premise (2) depends on the following train of thought: if one knows all the physical facts but does not know all the facts, then there must be a fact (call it “q”) that one does not know. If q were a physical fact, then one would know it. So q must be a non-physical fact. But in that case it follows that if it is possible to know all the physical facts and not know q, then not all facts are physical facts. Phew! Read through that again if you need to. (8) The Mary Thought Experiment The following scenario is conceivable: (i) Mary knows all the physical facts; (ii) Mary has never experienced colour; and (iii) Mary learns a new fact upon experiencing colour for the first time. Since no one can learn something that they already know, it would seem to follow that (4) is true. How then can the physicalist respond? Well, premises (1) and (2) would seem rather unobjectionable. Premise (3) is definitely objectionable, but the possible objections were already covered when looking at substance dualism. That leaves premise (8) (which supports (4)). 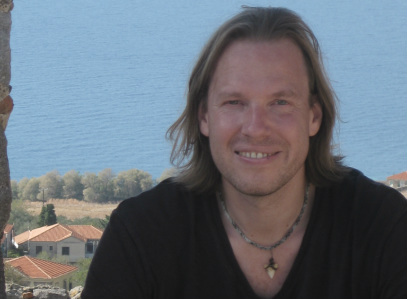 Jaworski says that the physicalist can object to the conceivability of either one of the three elements of the thought experiment, or some conjunction of the three elements. Let’s look at how this might play out in practice. One could argue that it is impossible to have complete knowledge of the physical facts (contrary to (i) above). This could be due to some inherent limitation of the human sciences. Thus, although science progresses in incremental steps, and improves with most of those steps, it never quite obtains perfect knowledge. Instead, the knowledge curve is asymptotic. This model of scientific knowledge is compatible with Popper’s fallibilism. Alternatively, one could argue that the conjunction of (i) and (ii) is inconceivable. In other words, one could argue that someone cannot know certain physical facts unless one has had experiences of colour. I’m not exactly sure how that argument would run but it has some prima facie plausibility. The conjunction of (i) and (iii) can be challenged in a variety of ways. Some critics challenge the idea that one learns a new physical fact when one has colour experiences. They say that, instead, one learns how to see the same set of physical facts under a different description or representation. To be precise, they say that one shifts to a first-person representation from a third-person one. So the facts remain the same, all that changes is how they are represented. That’s a little esoteric, so another way to challenge (i) and (iii) is to argue that physical facts logically entail facts about conscious experience. Thus, anyone who knew all the physical facts would be able to deduce facts about conscious experience. It’s been a long time since I read it, but I seem to recall Daniel Dennett offering this up as a possibility in Consciousness Explained (of course, he objects to the standard understanding of qualia as well). There is a third way in which to challenge (i) and (iii). It is to adopt the ability hypothesis. According to this hypothesis, there is a distinction to be drawn between two types of knowing: (a) knowing-how and (b) knowing-that. The former involves knowledge of abilities and skills; the latter involves knowledge of facts. Applied here, the distinction allows us to say that when Mary experiences the colour red for the first time, she does not learn a new fact; instead, she learns a new skill. (9) It is inconceivable that anyone could have complete knowledge of all the physical facts. (10) It is inconceivable that one could know all the physical facts without having had conscious experiences of colour. (11) Mary does not learn any new facts when she has a conscious experience, instead she represents the same facts in a different way. (12) Anyone who knew all the physical facts would be able to deduce facts about conscious experience from them. (13) Mary does not learn a new fact when she has a conscious experience, instead she learns a new skill. Do any of these responses work? Very hard to say. As Jaworski notes, both the knowledge argument and the responses to it remain highly controversial. I always feel a little weirded out by this debate. The people arguing against physicalism aren't usually doing so because they want to prove the existence of some esoteric, technically non-physical aspect of the world. They want to prove that magic is real. They want to prove that spirit worlds are real, and populated with spirit beings. They want to prove that you can cast magic spells by entreating the right spirit entities, and that one day the entire world will be attacked by a giant sheep and a horde of winged scorpion horses with human faces that come from another plane of existence. And unfortunately for them, physicalism would seem to rule all those things out. So they focus on questions like whether "knowledge" is technically physical or non physical, because maybe if they can erode the wall that physicalism imposes to their beliefs, they can wiggle in some extra magical stuff as well. But that isn't even the case! If we decided, right now, that "knowledge" is non physical, nothing would change with regards to spirit beings in spirit worlds.